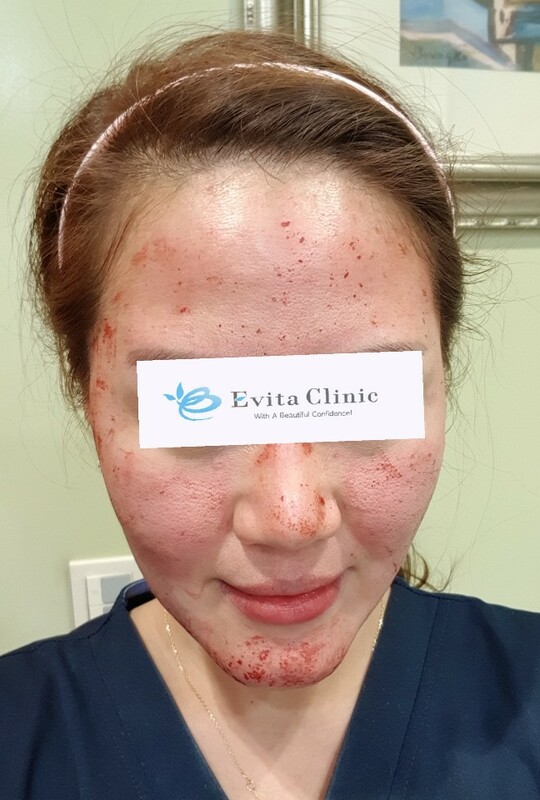 Neo Stamp or more commonly known as “Dermal Stamp” or “Microneedling” is gaining a lot of popularity both from our Local and International patients for its effectiveness in treating enlarged pores and acne scars. This is done by puncturing hundred of tiny holes into the skin through tiny needles. 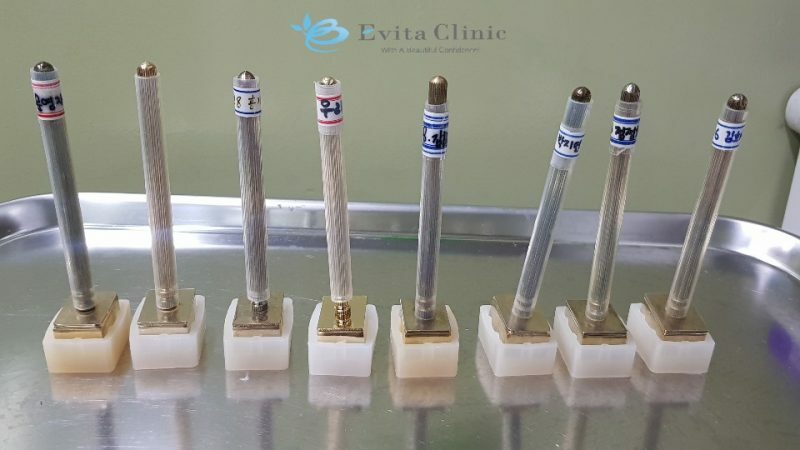 The needle pricks will act as an “injury” that triggers the skin to go into healing mode and at the same time stimulates the production of collagen and elastin. 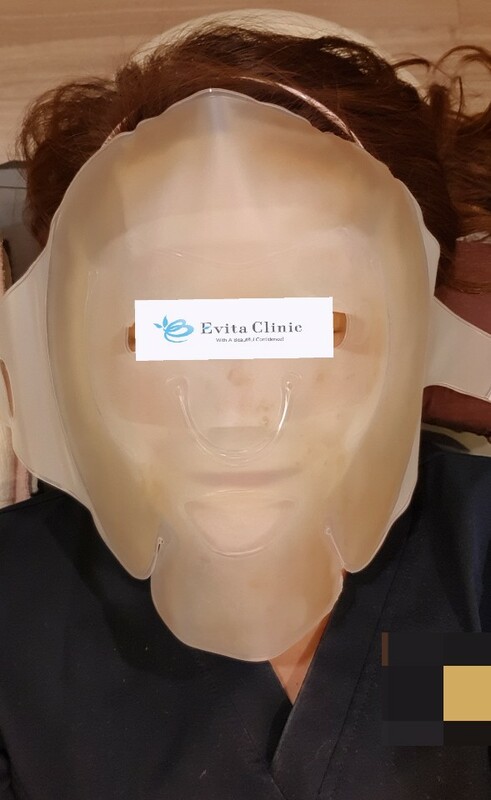 Through this process, the skin plumps up and improves the overall appearance of pores, scars, lines and wrinkles. 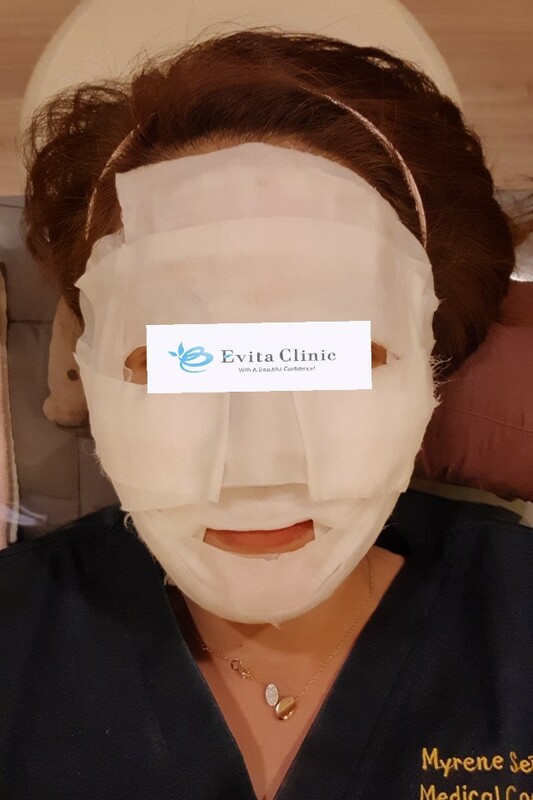 At Evita Clinic, the whole process takes 70minutes. It starts wit a consultation with our surgeon. He will check the condition of your face and will explain in detail the purpose of this treatment and why it is helpful for you. After your consultation you will be asked to wash your face. Face should be free from any cosmetics and skin care products. 1.After washing your face, a numbing cream will be applied for 30minutes. 2.Stamping done by our surgeon. Pain greatly depends on the patient’s tolerance. Pain scale is 4-7/10. 4. Another mask will be applied to sooth your skin. This takes another 5 minutes. 5. 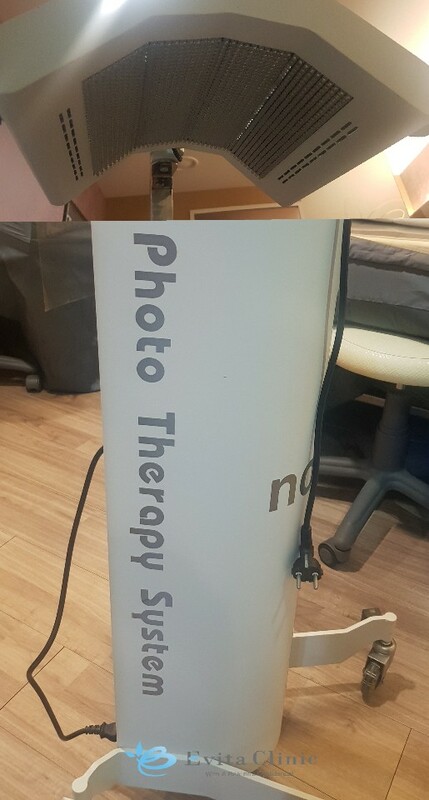 Red Light Laser Treatment for 10 minutes. This promotes healing and tissue repair. Drink lots of water as Stamping may cause temporary skin dryness as part of its healing process. Make sure to moisturize your skin. Apply sunblock the following day after treatment. No Hot Baths and Sauna for at least a week. Do not apply any cosmetics or skin care that contains Vitamin C for at least 2 weeks. Each patient will have their own Stamp. It will be cleaned after the treatment. And will be stored at the clinic for your next visit. Interval between session is at least 3 weeks. This gives enough time for the skin to heal and for optimal results. 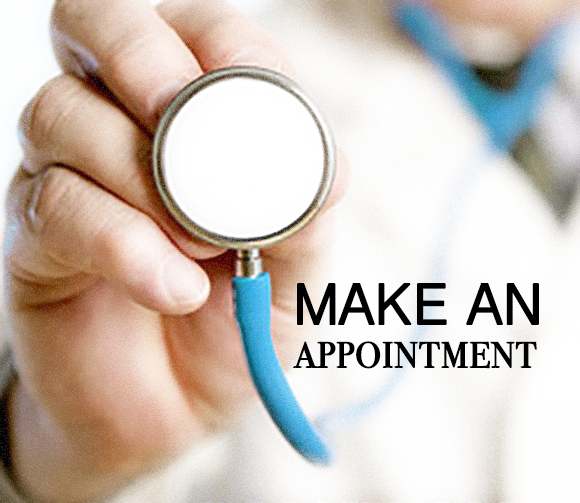 We make special exceptions for patients who are only staying in the country for a short time. Depending on the condition of your skin, you can receive Stamping at least once a week.